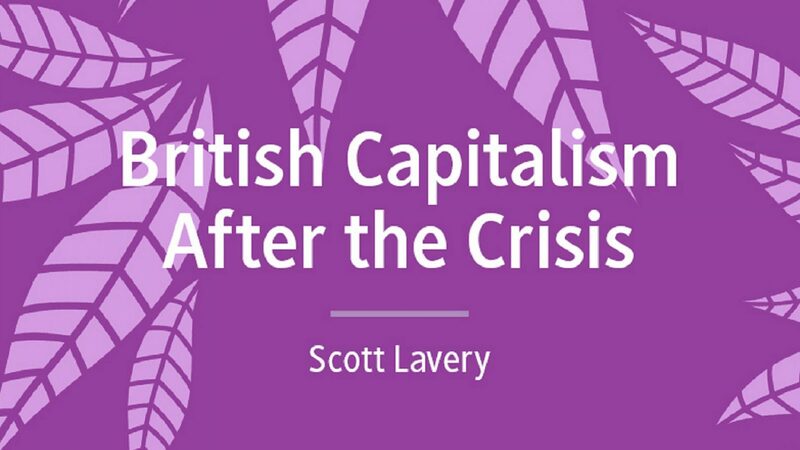 We are very pleased to announce the publication of British Capitalism After the Crisis, a new book by Dr Scott Lavery, Leverhulme Early Career Research Fellow at SPERI and a Lecturer in the Department of Politics. The book analyses the development of capitalism in Britain over the last three decades. A new essay by Scott which draws on analysis in his book is available to read here. British Capitalism After the Crisis is published in SPERI’s series with Palgrave Macmillan ‘Building a Sustainable Political Economy’ and is available in hardback or e-book format. A book launch in Sheffield will take place later in 2019. The 2008 financial crisis rocked British capitalism to its foundations. More than a decade after the crash, the country is still dealing with its consequences. Dr Lavery’s book explores the extent to which British capitalism has been reconfigured in this tumultuous period. Advancing an in-depth analysis of the political economy of New Labour, the Coalition and the period after Brexit, the book argues that deep structural weaknesses have been re-embedded within British capitalism. The Coalition promised to eliminate the deficit in one parliament and to ‘rebalance’ the British economy. It did neither. Instead, real wages slumped, uneven development intensified and productivity stagnated. An era of volatile post-crisis politics – exemplified by Brexit, the May government and the rise of Corbyn – emerged in this context, threatening the foundations of the old order. This book is required reading for students and scholars interested in the fractious political economy of British capitalism after the crisis.